Heating our homes today can be an expensive endeavor. Finding ways to cut your heating bill can mean an enormous savings in fuel cost. Sometimes an initial investment may be required such as a new boiler or furnace. Sometimes simple maintenance can cut costs. Doing everything possible to save fuel today is the green thing to do. Our fuel supply is a limited commodity and until we develop sustainable types of replenish-able alternative energy sources, we should all be doing what we can to conserve. 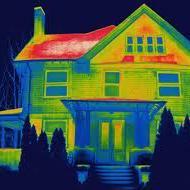 When older homes are in question, the main heat loss is usually through the drafty wooden windows and doors. Replacing these with energy efficient new models with thermally insulated glass and sashes, can save as much as twenty five percent of your heating bill. Adding insulation to your attic space is another easy way to gain some savings. Most of the heat from your house will eventually end up in the attic. The longer you can keep it in the room your using the better. Crawl spaces are often neglected when insulating. Mostly because they're usually very hard to access. It's worth the extra push to crawl in there and add some insulation. Your efforts will be rewarded both by fuel savings and a more comfortable room above to live in. Having your heating system cleaned annually is another good way to keep saving money. A clean system runs very efficiently and also will have fewer breakdowns. This can keep you from ending up in the cold waiting for a service company that may not always be readily available. Having a service company in the wings waiting is something every homeowner should make a point of. Do not wait until the middle of a blizzard to find someone after your broken down and freezing. Losing your heat in extreme cold can cause frozen pipes to explode the plumbing and you can also lose the entire heating system. Great cost will need to be expended to repair the damage from frozen pipes. If you have an older heating system in your home, it's highly recommended you investigate the new high tech computerized boilers and furnaces available today. Efficiency capabilities have increased dramatically in recent years and some new equipment can end up paying for itself relatively quickly not to mention the boost to the comfort level in your home. Federal Tax incentives are available for high end high efficiency gas and oil apparatus that meat certain rating requirements. This added together with fuel savings will allow the average homeowner to afford the upgrade. Finding the right people to work on our home heating apparatus again should be tackled well before the heating season. This gives us time to find someone that comforts us by showing they know what they're doing. Nothings worse then finding out your heating contractor is unreliable right when you need them. Heating Our Homes is so very important and so very costly that it is always on our minds in the winter months. Thinking about them in the summer months will benefit us a lot more. Visit Sandium.Com to schedule an appt to have your heating system evaluated or to have an energy audit done.